This website exists to provide information about Logan Brothers Rugby League Club. We monitor the content and update it regularly. However, we do not guarantee - and accept no legal liability whatsoever arising from or connected to - the accuracy, reliability, currency or completeness of any material contained on this website or on any linked site. This website contains links to other websites that are external to Logan Brothers Rugby League Club. We take reasonable care in linking websites, but we have no have control over the content of linked sites. It is your responsibility to make your own decisions about the accuracy, currency, reliability and correctness of information contained on the Logan Brothers Rugby League Club website and linked external websites. 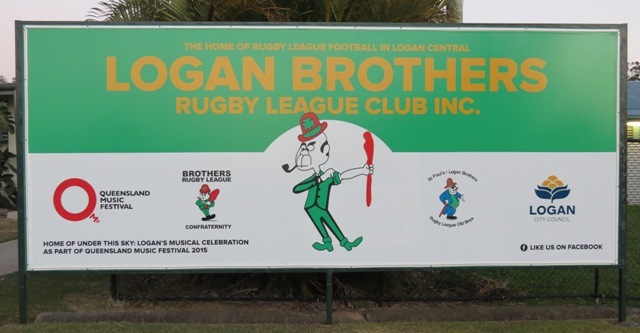 Through it's technical support, Logan Brothers Rugby League Club applies a range of security controls to protect our website from unauthorised access. However, users should remember the web is an insecure public network, which means there is always the potential risk that a user's transactions are being viewed, intercepted or modified by third parties or that files which the user downloads may contain computer viruses, disabling codes, worms or other devices or defects. 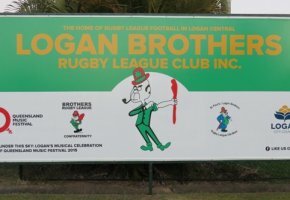 Logan Brothers Rugby League Club accepts no liability for any interference with or damage to any computer system, software or data occurring in connection with or relating to this website or its use. You are encouraged to take appropriate and adequate precautions to ensure that whatever is selected from this website is free of viruses or other contamination that may interfere with or damage your computer system, software or data. The information on this website is owned by Logan Brothers Rugby League Club. Apart from any use as permitted under the Copyright Act 1968, all rights are reserved. You are not permitted to retransmit, distribute or commercialise the information or material without seeking prior written approval from Logan Brothers Rugby League Club. You may link to the Logan Brothers Rugby League Club website at your full expense and responsibility. You must not alter any of the website's contents, or reformat the files, pages, images, information and materials from this website on any other website. Logan Brothers Rugby League Club reserves the right to prevent linking by giving notice. Logan Brothers Rugby League Club seeks to adhere to the requirements of the Information Privacy Act 2009 (IP Act). Logan Brothers Rugby League Club will record your email address if you send a message by email. If you do not want your email address to be recorded by Logan Brothers Rugby League Club, please let us know (see contacts page). Your email address will only be used for the purpose for which you have provided it and will not be added to any mailing lists. We will not use or disclose your email address for any other purpose without your prior written consent. The Internet is an insecure medium and users should be aware that there are inherent risks transmitting information across it. Information submitted unencrypted via email or web forms may be at risk of being intercepted, read or modified. This website contains links to other sites. Logan Brothers Rugby League Club is not responsible for the privacy practices or the content of such websites.